It’s hard to expect top-level audio quality while you’re walking down a busy city street, or when you’re jogging in the woods. And it’s just as hard to design audio equipment built for those conditions. The selling point of sports headphones is their highly portable design. But that can put heavy constraints on the kind of battery life and audio quality which engineers can cram into those devices. Noise isolation features become necessary, which may further impede on audio quality. Audio engineers have to build products in anticipation of where that equipment is expected to be used. Large, spacious areas have different acoustics than small ones. And of course, in-ear monitors are fundamentally different creature due to the placement of the audio driver. What this means is casual listeners watching a movie will have different audio needs than someone kayaking along a roaring river. In short, it’s a matter of keeping the hardware unobtrusive while still matching basic listener needs. If you were to make a list of the top three brands among audiophiles, Sennheiser would unquestionably make the cut. They have a reputation for outstanding audio equipment and consistently high quality products. Whether you’re buying their cheapest gear or their best equipment, you get exactly what you pay for, provided only that you know what it is you’re getting. Jogging alongside the road isn’t exactly optimal conditions for high quality sound, but the CX Sport In-ear headphones show Sennheiser’s rigorous engineering-oriented approach to delivering on audio quality. The CX have every essential sports feature you might look for, like waterproofing. But it also has features that you literally can’t find with other brands, and a distinctive sound profile which is ultimately unique to the Sennheiser brand. The CX Sport are made with the popular over-neck wire design, which can be worn either in-front or around the neck. Stretched from one end to the other, the entire connecting cable is about 1-foot long. And aesthetically, the CX Sport are available in black or yellow for a generally sporty look. 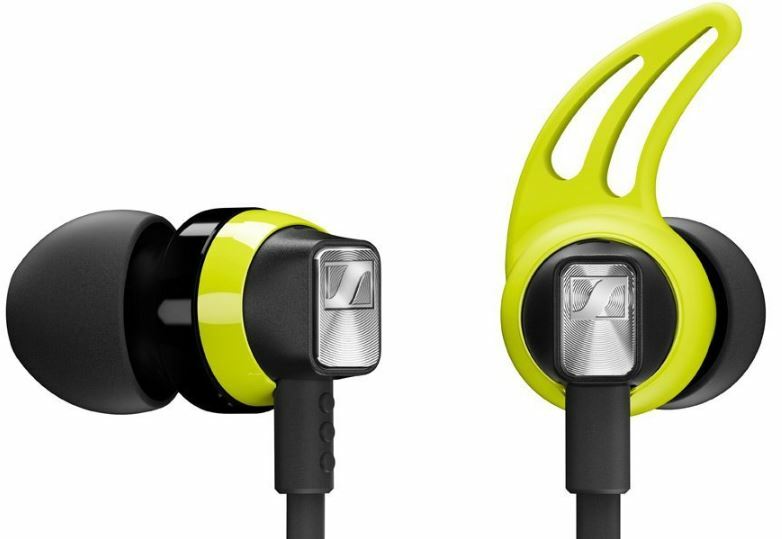 In short, they look like somewhat ordinary sports headphones. But with a closer examination, you’ll find the build quality of the CX Sport matches its price. One of the more important design aspects of sport headphones is portability. The CX Sport weigh about half an ounce, or roughly 15 grams. That allows them to be worn seamlessly during exercise, and makes them so portable you’ll barely be aware they’re with you. Another critical feature for sports headphones is water resistance. Even if you’re not kayaking in a rainstorm, sweat can fry ordinary headphones. Being zapped by your headphones probably won’t cause much harm to your body, but it will make you hesitate before you stick them back in your ears. And sooner or later, it can be the death of your headphones. 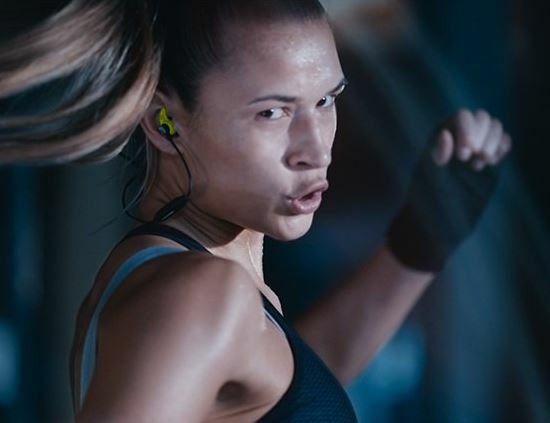 But Sennheiser CX are sweat and splash resistant, making them ready for wherever your workout takes you. Sennheiser is known for throwing extras along with some of their better equipment. The CX Sport include the necessary USB charging cable, a cable clip, a neoprene storage pouch for the headphones, and a user manual. More importantly, it includes four sizes of ear adapters, and three sizes of ear-fin adapters. The three ear funs help keep earphones on your head, while the ear tips allow a customized fit. That flexibility means you can choose between having a greater degree of sound isolation, or having a more open soundscape. And in either case, they’re capable of being louder than your doctor would want you to listen to music. Comfort is important on all types of headphones, but sports headphones are a little different. You need your gear to fit securely in your ear, and on your body. Even if you know your headphones aren’t going to fly off your body as you move about, you don’t want them to feel like they might. And the CX achieves that perfectly by providing a super secure fit, largely thanks to the customizable ear tip sizes you can choose between. The ear-tip is incredibly ergonomic so you’ll be able to find a comfortable fit, and the strength of that fit is fairly important to how this design maximizes audio quality. Some headphone manufacturers achieve a large portion of their sound quality through equalizer settings and software tricks. All sorts of unique algorithms can be used to help trick the brain into thinking it’s hearing something it’s not. By contrast, Sennheiser is a brand that primarily creates audio quality by better engineering of audio-producing hardware. And they’re always looking for a way to create highly detailed sound in smaller packages. From an audio engineering perspective, one of the bigger problems earbuds have to overcome is weak bass tones. Producing deep and accurate bass is something that’s best achieved with a huge power source and a giant driver. Even medium-sized subwoofers tend to be 12” or larger. When you’re trying to produce the same sounds out of a driver that’s a fraction of the size, with a fraction of the available power, it can be tough to get the job done without cheating with EQ tricks. With the CX Sport, Sennheiser uses a proprietary design to help provide a much more dynamic bass than you ordinarily see in sports headphones. Those tones aren’t fully represented in the 17-21,000Hz frequency range you see on the box, or the 112dB sound pressure level. But it does reflect engineering that goes beyond the ordinary 20 Hz–20,000 Hz range seen on most devices. When you buy from audio brands with huge name recognition, often times what you’re actually paying for is a logo. Much of the most popular audio equipment are essentially fashion accessories, with half of their appeal being brand name recognition. If you’re someone who wants to be seen wearing the latest fads, that’s great. But some people want their headphones to be more audio equipment than fashion accessory, and Sennheiser is exactly that. Just about the worst thing you can say about the Sennheiser is they can brutally nickel-and-dime you over replacement parts. But their equipment is exactly what you pay for, and the CX Sport are a clear demonstration of that. Sports headphones should be simple, but simple can be deceptively tough if done incorrectly. You don’t want to have to memorize secret patterns of button combinations to unlock the feature you want. Fortunately, the CX has an obvious 3-button operation through the remote running along the headphone wire. Those buttons enable you to answer calls, play music, pause, and skip tracks. And 3-button operation makes mastering use of the CX take seconds. Put to the test, the CX Sport provides it’s a strong balance of audio performance and athletic necessity. The CX Sport offer a total battery life of about six hours. It takes about 90 minutes to get that full 6-hour lifespan, but you can get an hour of life from a quick 10-minute charge. Even if you forget to charge your CX Sport overnight, it can be ready to go by the time you’re done drinking your morning coffee. The 6-hour estimate has to come with the caveat that battery life depends on how much volume you use, what you’re listening to, and even the temperature outside. But regardless, the CX Sport provides enough battery life to last through the most intense and grueling workouts. You could just about watch three movies, back-to-back. 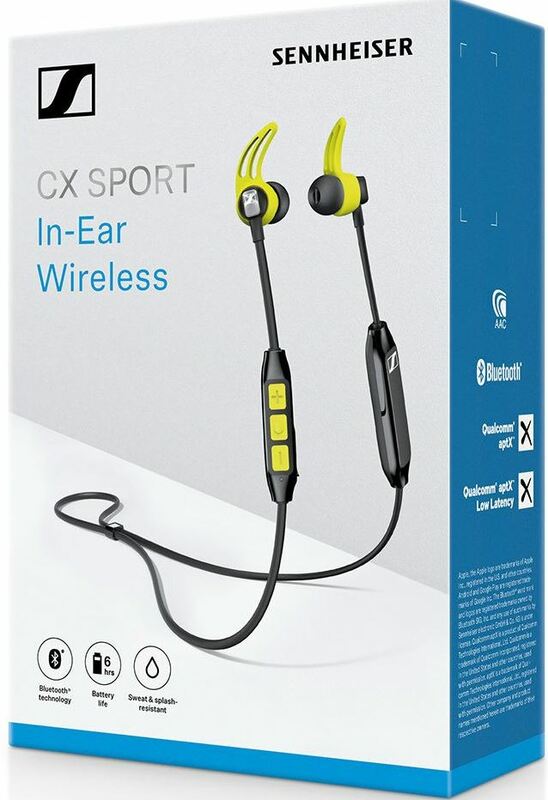 The CX Sport uses Bluetooth 4.2, matched with Qualcomm apt-X processing to ensure high quality and stable audio connectivity. You can get essentially the same quality as wired audio on a wireless configuration, and with fewer problems retaining that connection. Moreover, the CX Sport can be paired with up to 8 devices, and allows for simultaneous connections with two devices. Whether or not those features are essential to you, they provide room for growth for future devices, and they add a layer of convenience to using the CX Sport. The included noise-isolation fins help provide an excellent degree of passive protection against noise. But the CX Sport doesn’t have an active noise cancellation feature. ANC is extremely good at removing ambient noise, like the droning of an engine. Depending on where you’re doing your workout, you may or may not be able to benefit from ANC. Noise isolation with the CX Sport is slightly above average, but it won’t hold extremely well when you’re jogging down a boisterous city street. The amount of protection it provides is closer to adequate for most ordinary day-to-day conditions. As long as there isn’t a riot going on at your gym, noise shouldn’t be much of a concern. 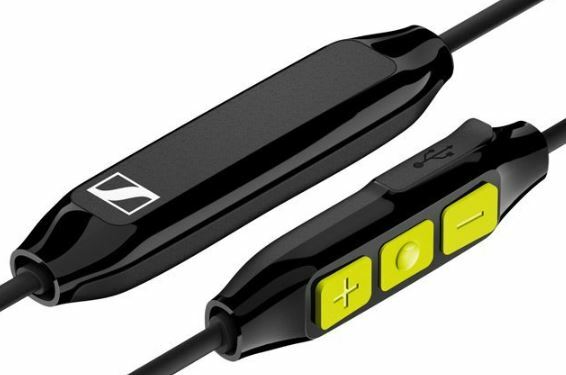 Who Should Choose the Sennheiser CX SPORT Bluetooth Headphones? 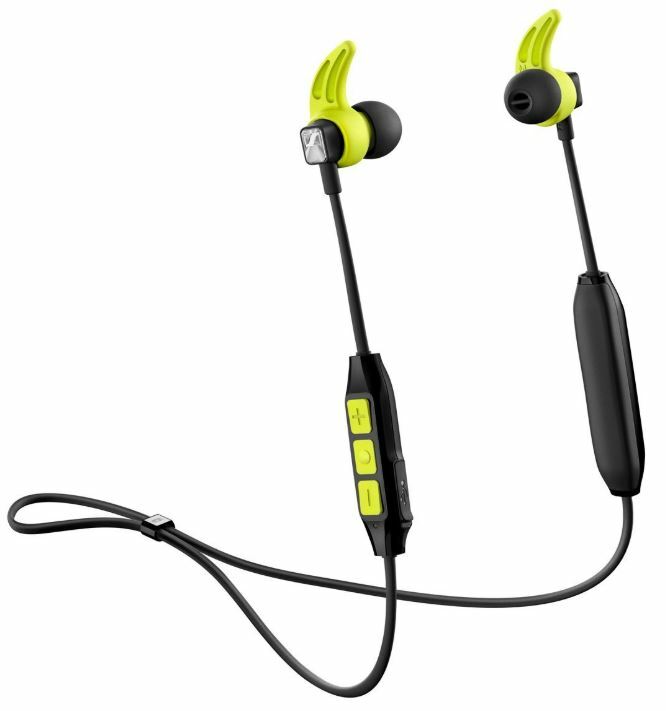 The CX Sport are for active people who need audio equipment which can keep up. They’re for people who value sound quality above all else, and don’t want to deal with mediocre audio just because they’re exercising. Compared to its competitors, the CX Sport stands out largely due to its rigorous engineering. It’s easy to give a thumbs-up to the CX Sport for any general athletic activity, and they’re an especially good choice for people who value accurate bass. Sound quality aside, being able to rapidly charge the CX can be incredibly convenient. Even if you forget to charge them overnight, a rapid charge will give you enough power for your workout. Batteries aside, athletes are going to sweat. Waterproofing protects you from unpleasant shocks as much as it protects your equipment from breaking, and the CX Sport are essentially airtight. If you don’t need the features distinctive to sports headphones, like waterproofing and extreme portability, you might do well choosing a different pair of headphones. But for someone who’s active or listening to music in the elements, they’re a great choice. I bought the CX Sports about 10 days after they were released at an audio shop in Manhattan. They are fantastic. I was really hesitant to leave cabled headphones behind since my cell phones lately have all been built for high end audio quality with dedicated DAC’s and whatnot. Well my phone ended up in an eternal boot loop and HTC sent me and upgraded version of the phone sans 3.5mm headphone jack. i was upset at first, but after a few days with these puppies, i have no regrets. Sound is amazing, fit and comfort are great. and i no longer have inconsiderate straphangers ripping my headphones out of my ears on the morning commute., Highly recommend these. I bought my CX Sport 12 days ago and today I’m returning them to the store. I don’t have any experience with other wireless earbuds, but these sound quite nice indeed. Perhaps a little oversaturated in the upper highs, but still pleasant. And this is pretty much all the good that I can say about them. The biggest issue I have with them is a frequent BT signal interference while I’m riding my bike and I have my phone (Galaxy s8) in the rear pocket of my jeans or shorts. I don’t know how and for what exact reason, but the audio keeps stuttering sometimes more, sometimes less, even if I just sit on my bike still without pedaling. Another problem was encountered in the gym. Somehow if the phone is in my pocket and I’m doing pull-ups or am next to or in contact with metal frames, so to say, there’s again some signal stuttering. This noise-isolating design might just not work for me as well. 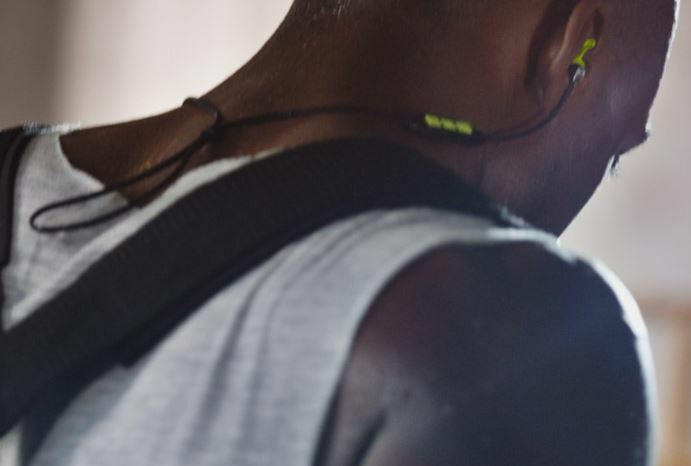 When I put them into my ears it feels like a vacuum inside and when I’m working out, say, using the TRX, or simply leaning my head, I feel the need to adjust the earbuds constantly as the sound getting worse. Perhaps it has to do something with this “vacuum” feeling and internal ear pressure during the workouts. I’ve had several other earbuds (chord), including monitor earbuds for musicians, which didn’t seem to have this vacuum effect at all, and working out with them was definitely more pleasant for my ears. The last issue I have with them is it’s design… Perhaps it won’t be an issue for the most, but I find that metal Sennheiser logo too iridescent and too flashy. Especially in the bright sun it looks like I wear some kind of diamond earrings… Sorry, not for my taste.